Edit - I fired up the car to wash it and the tire pressure warning immediately came on. It’s toast and will be changed, likely along with the rim...My wife curbed the Mini yesterday. 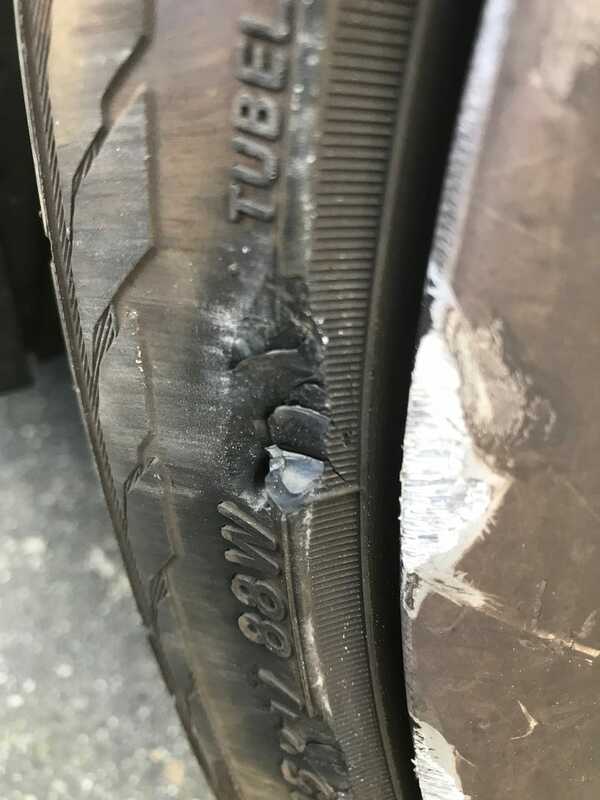 Took a gouge out of the tire. It is on that lip just outside the radius of where the rim picks up the tire. No belt is showing and it is holding air. Thoughts?